Made from nickel. Copper plated with a gilt finish. 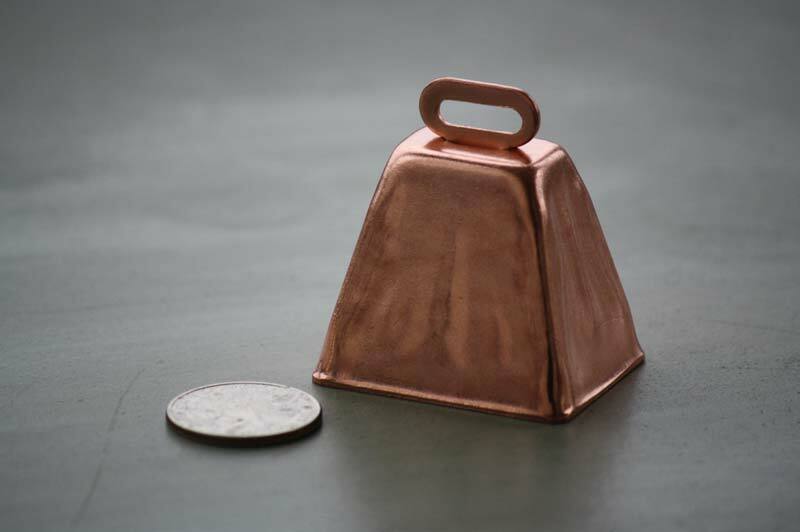 Height: 1 1/2" Height with loop: 2" Length: 1 3/4" Width: 1 1/4"
Copper cow bells are the perfect craft bells for decorative projects. 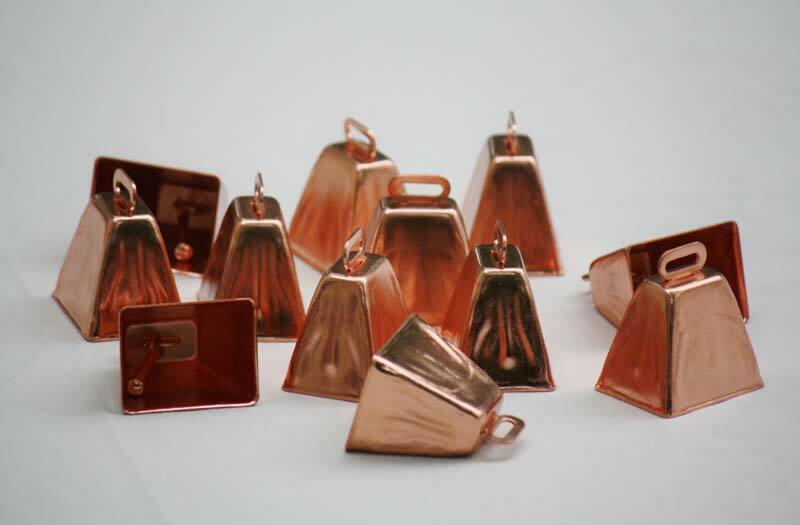 These small bells will bring style and noise to parties and events. Put them on a naughty kitty to warn birds of her approach! There is always a use for a craft cow bell.